Prevent Blindness NC has helped more than 20 Roanoke Rapids Graded School District students see better. The non-profit group offered free eye exams and new glasses to students in need. Students were selected based on recent vision screenings done at the school. "This is a great service offered to our students," said Sarah Davis, School Nurse. "Dr. Dexter Street and his assistant Barbara from the Winston Salem Low Vision Center. 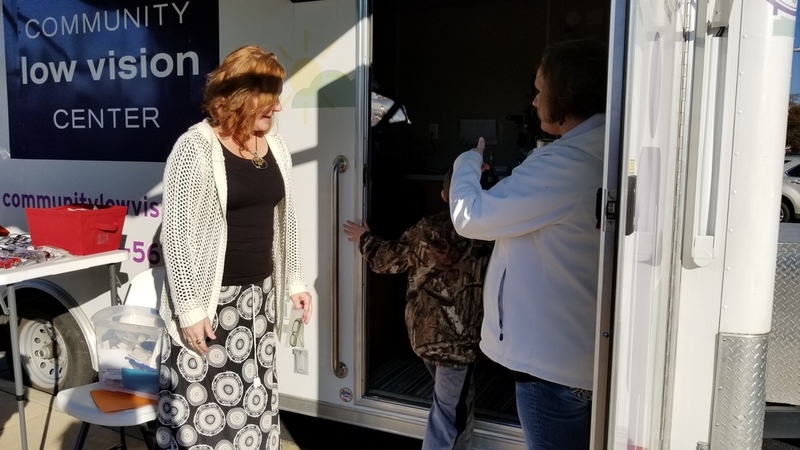 came to our schools, set up their mobile unit outside, and completed eye exams. Seeing their faces after getting glasses was priceless." In North Carolina, 25,614 preschoolers and 349,518 school age children have visual problems. Prevent Blindness North Carolina (PBNC), also known as the National Society to Prevent Blindness - North Carolina Affiliate, Inc., was organized in 1967 as a nonprofit health agency helping children and families across the state.